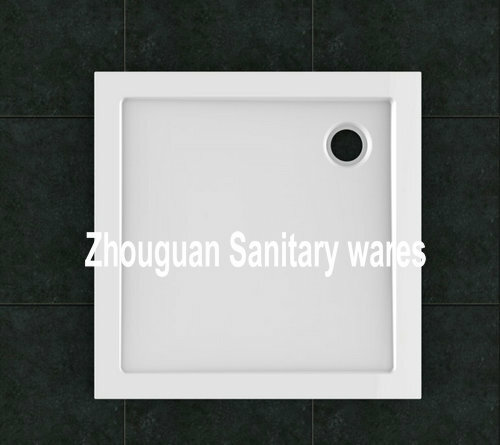 LT-F80 products | Hangzhou Zhouguan Sanitary Wares Equipment Co., Ltd.
SMC, as a kind of composite material, it has the feature as good texture, bright surface, heat preservation, anti-aging, used with long life and so on. So it is only used on the space military products at first, such as airplane, spacecraft and so on. Usually we called it as aerospace material. According to statistics, a Boeing plane use of 9.9 tons of SMC. With technology advances, SMC is popular used in building material and bathroom industry in Europe, the United States and other countries. SMC shower tray have the characteristics as follow: 1, It is one kind of thermal curing environmental protection material. 2, The surface of the SMC shower tray is bright, easy to clean, compact and Skin feeling kind. 3, Thermal insulation and waterproof. 4, It's quality of a material is strong, impact resistant, high temperature resistant, anti-aging, no deformation, no absorption of moisture, no discoloration. 5, It is environmental protection, security, no pollution, no radiation.